Niagara MO is a compact two-tank, flood/spray cleaning system with revolving wheel technology. The system features a modern and compact design. 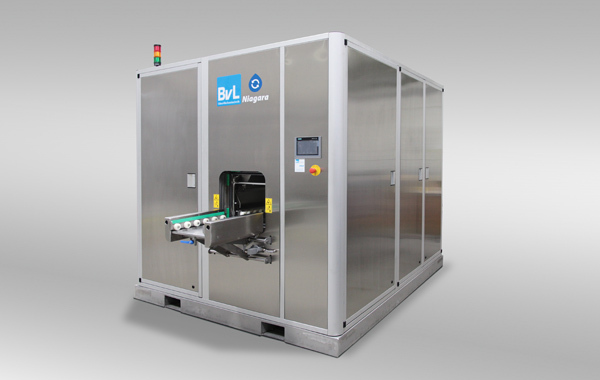 Ultrasound cleaning (optional) achieves a high level of cleanliness. All processing steps are carried out in a chamber. The fully glazed door allows operators to view the washing process. 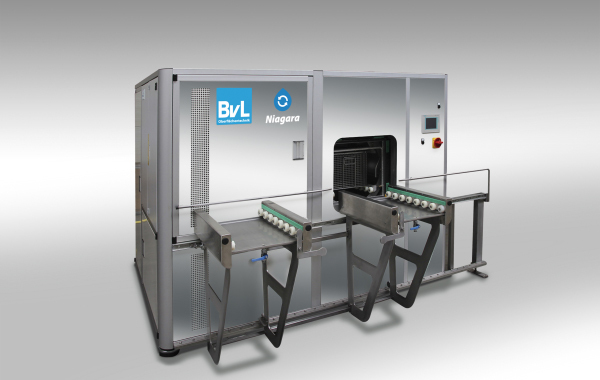 Rotating the parts baskets or parts carriers around the horizontal axis ensures all-round thorough cleaning. 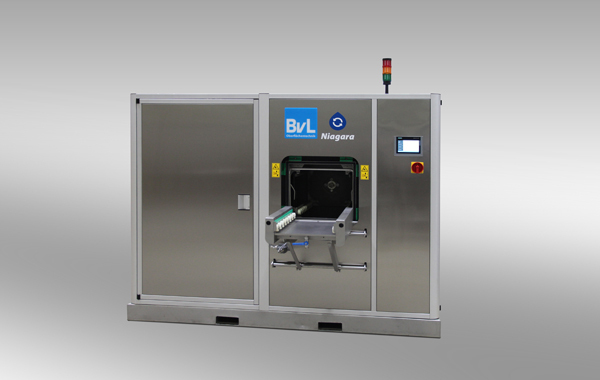 Intelligent cleaning with BvL apps and digital networking! Transparent process information for predictive system diagnostics andmaintenance: efficient and automatic.